For readers of the Ultraverse comic Mantra, these three words had special meaning. Although the comic has been shelved and the Ultraverse is no more, some of the fans have taken up the torch to remember these "fallen heroes." For my own part, I've taken it upon myself to create the canonical site dedicated to the Ultraverse's "Golden Sorceress," Mantra. 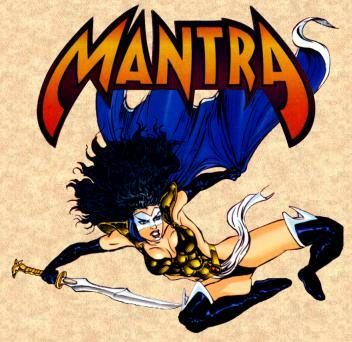 Mantra's origin, personality, fact sheet and a quick overview of the Ultraverse. Details on Mantra's powers, weaknesses, her costume, and various artifacts she has collected. Descriptions of Mantra's friends, foes and supporting cast. Articles and interviews, fan fiction, and complete summaries of every Mantra comic you can imagine (and then some). A huge collection of Mantra pictures. Links to other Mantra and Ultraverse sites. A listing of updates and modifications to the site.